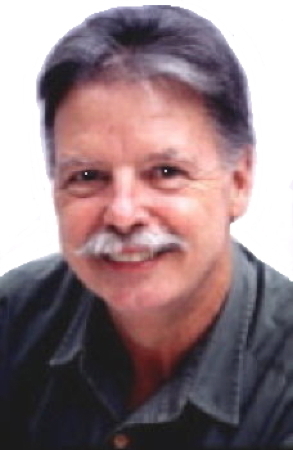 Information: Dr. Anthony V. "Tony" Shay, teacher, choreographer, and ensemble director. Dr. Anthony V. "Tony" Shay is a dancer and choreographer with over fifty years of performing and creative experience in staging and choreographing dances and music from Eastern Europe, the Middle East, North Africa, and Central Asia. After years of study in Iran, Dr. Shay created the Village Dancers. Along with Leona Wood (1922-2008), a painter, teacher, and expert in Middle Eastern dance, he created the famed AMAN Folk Ensemble (aka, AMAN International Music and Dance Company) of Los Angeles, California in 1963 and served as artistic director until 1977. With Master's Degrees in Anthropology, Folklore and Mythology, and Library Sciences, he is able to bring the expreriences of travel and training to his work. In addition to being a full-time librarian, a part-time researcher for the Smithsonian Institution, a choreographer for a number of ethnic-oriented dance companies, a concert flutist, teacher and translator for the Department of Immigration, he directed AMAN. Somehow, in his spare time, he has become a better-than-average bridge player, designed and planted a rose garden in his back yard, and conducted lecture and dance courses for UCLA Extension. During his first years in college, he learned Persian on a dare and became so accomplished in the language the he was able to fool even natives. Invited by the Iranian ambassador to visit Iran, he spent one year there eventually singing in Persian on a regular radio program. He was choreographer and artistic director of the AVAZ International Dance Theatre, a group he founded in 1977. In this period he has choreographed over 150 works for both his own company and on commission to other groups. He is an assistant professor of dance and cultural studies at Pomona College in Claremont, California. Dr. Shay earned a Ph.D. in Dance History and Theory at the University of California, Riverside in 1997. He currently holds the position of associate in dance at the same institution, where he teaches dances of the Iranian cultures sphere. Dr. Shay is a five-time recipient of the National Education Association (NEA) choreographic fellowship and was an NEA resident artist in La Napoule, France. In 1990, he was a seminar participant in "Latin American Music in a historical and social perspective" at the University of Texas, Austin. In 1995, Dr. Shay was again awarded a summer scholar position in the seminar "Re-imagining Societies: The Middle East and Central Asia" at Dartmouth College, Hanover, New Hampshire. On November 18, 1995, Dr. Shay received commendations from President Bill Clinton and the entire City Council of Los Angles for excellence of his choreographies, honoring his fortieth year as a choreographic artist. The Kaleidiscope Festival designated him as Distinguished California Artist in 1997. He was awarded a James Irvine Fellowship in Dance for 1998 as one of eight of the top choreographers in the State of California. The award is accompanied by a $30,000.00 fellowship for research focused around a core focus on Iranian art, which enabled Dr. Shay to visit important art collections and libraries in a number of different countries. This fellowship is the most coveted dance award in the United States. Thou shalt have no other directors before me. Honor thy left foot and thy right and keep thy buttocks tight. Thou shalt not commit atonality. Thou shalt drop no costume pieces before me. Obey the Sunday and Thursday and keep them holy. Thou shalt not become pregnant. Thou shalt not miss rehearsals; be the reason lice, vermin or pestilence. Thou shall take every final bow...and bow...and bow. Tony is our shepherd; we shall not forget it. He maketh us to dance on wretched stages; he leadeth us beside short people. He restarted our soles. He leadeth us in the paths of folklore for AMAN's sake. Yea, though we walk through the valley of the shadow of Berendo, we shall fear no purse snatchers; for thine art is with us. Thy shrieks and thy stomps; they comfort us. Thou preparest suites before us in the presence of all. Thou annointest our heads with false braids; our caps runneth over...and over. Surely goodness and mercy shall follow us dummies all the days of our lives and we shall dwell in the house of AMAN forever. Balkan Dance: Essays on Characteristics, Performance and Teaching. By Anthony Shay, 2007. Belly Dance: Orientalism, Transnationalism, and Harem Fantasy. Bibliotheca Iranica, Performing Arts Series. By Anthony Shay and Barbara Sellers-Young, 2005. Boys' Night Out in Leadville. Choreographing Identities: Folk Dance, Ethnicity and Festival in the United States and Canada. By Anthony Shay, 2005, 2006. Choreophobia: Solo Improvised Dance in the Iranian World. Mazda Publishers, 2000. Choreographic Politics: State Folk Dance Ensembles, Representation and Power. Wesleyan University Press, 2002. Dancing Across Borders: The American Fascination with Exotic Dance Forms. By Anthony Shay, 2008. When Men Dance: Choreographing Masculinities Across Borders. By Jennifer Fisher and Anthony Shay, 2009. AMAN International Folk Ensemble, an ensemble. Folk Dance  What the . . .?, an article. What is Folk Dance?, an article. Because most of Dr. Shay's works were intended for repertory companies, they received and still receive multiple performances, sometimes over one hundred or more times. For example, Up with People has five casts of one hundred performers and annually performs Dr. Shay's works several hundred times in one year collectively. Im Anush Daviq, an Armenian choreography he composed in 1979, has been a permanent part of the AVAZ repertoire for more than 15 years and has received at least 200 performances during that time period.